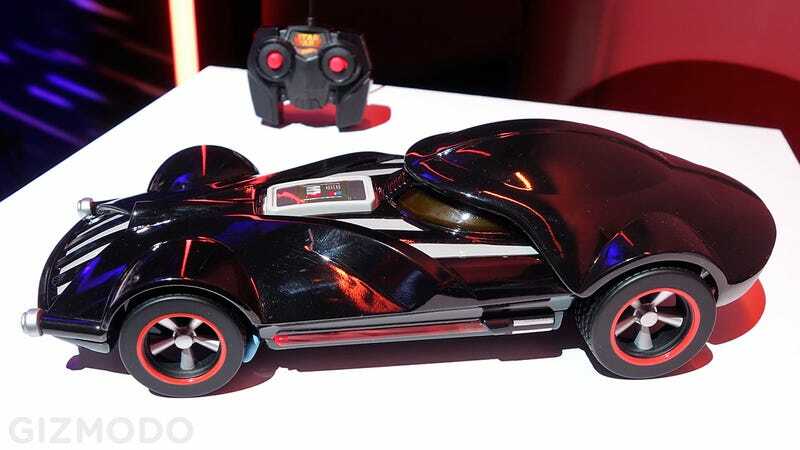 If you're still drooling over the C5 Corvette that Hot Wheels turned into the ultimate ride for Darth Vader, the company will finally let anyone take it for a spin. But not the original, that's probably driven around by Hot Wheels' CEO. The rest of us will have to settle for this remote control version that's about a foot-and-a-half long—so at least you won't need a garage to store it.